Not everyone can or needs to buy your product or service. By qualifying your leads, you determine whether you can and want to sell to someone. Qualifying lets you save time and effort by focusing on those most likely to buy. Sadly, many in sales seem to be unaware of proper qualifying or they skip it entirely. Instead, they consider selling to be a “numbers game.” In their view, approaching someone who cannot, or will not buy is “part of the game.” The idea is that just like 19th century Alaska gold miners, they’ll eventually wash enough rocks to find a nugget. Consequently, the belief is that personal skills like grit and perseverance matter most when it comes success at sales. The resulting behavior has led sellers to be known as a nuisance. In popular opinion often viewed as takers who steal your time and energy. And, when they have eventually worn you down, even your money. 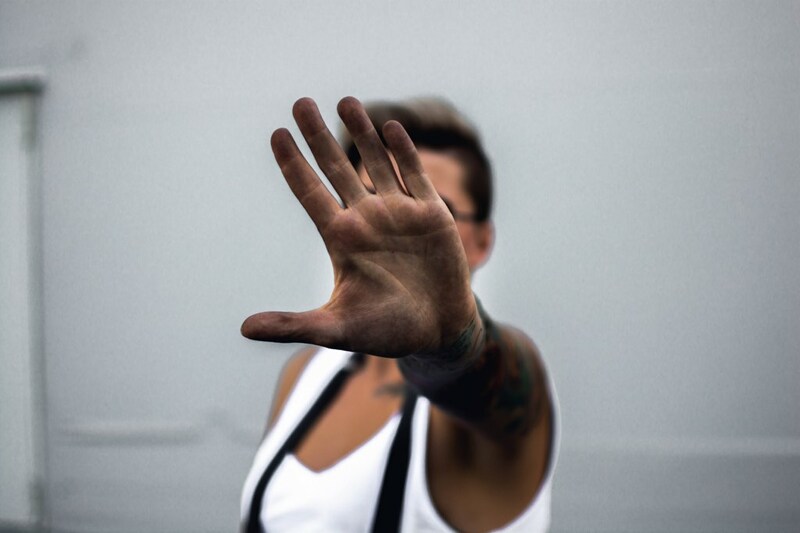 This infamous selling behavior affects even you, the well-intentioned seller. As soon as someone meets you and realizes that your goal is to sell something to them, they see you as of “one of them.” Their walls go up. Their eyes narrow. From now on, they will filter everything you say with extreme skepticism. 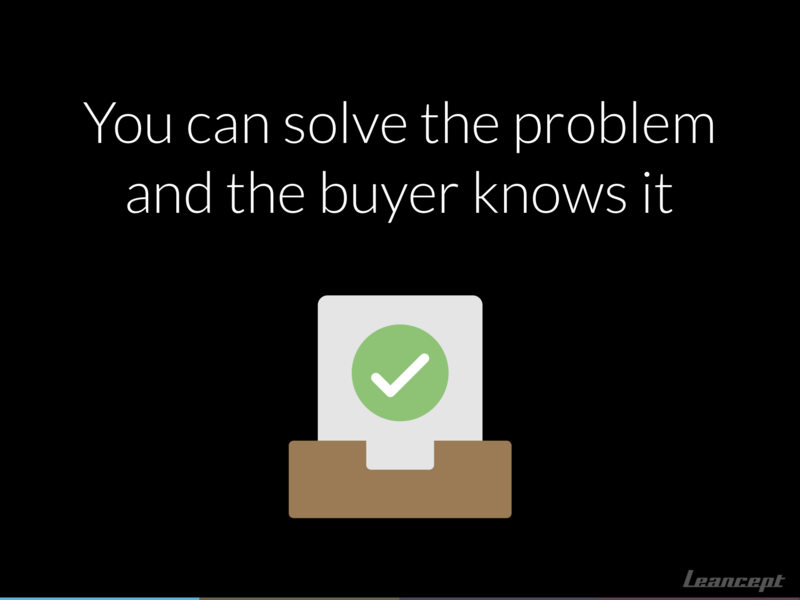 Your job is to help the buyer achieve goals, solve problems or satisfy needs. If you can’t, step away. This is the essence of value-based selling. This process is referred to as a “funnel” since it, theoretically speaking, narrows. If you get 100 leads, on average 10 of them will qualify as prospects, then perhaps 1 will become a paying customer. Like I said, this example is simplified. Many sales funnels include stages between these three with people assigned to work each stage, using various checklists, programs or other sales activities. Leads are generally the result of your marketing efforts. One way to generate leads is to write a blog about topics that interest your target market. A share of those readers will then contact you to learn if you can solve a problem they have or help them implement something you’ve written about on your blog. But leads can also be more organic. Generally speaking, not all leads are as likely to become buyers. How they became leads matters. A person making the decision to step into your office from the street is a strong lead. Someone who was referred to you by a mutual friend is even stronger since you come recommended. 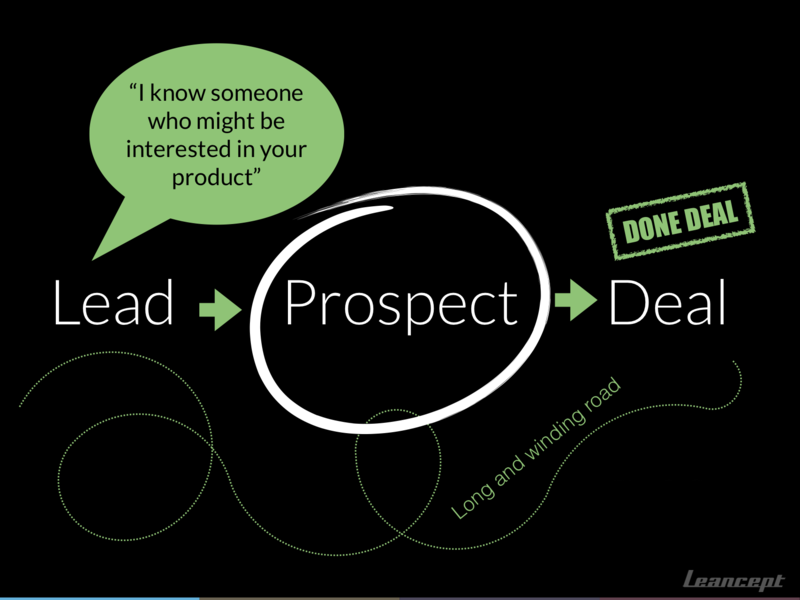 Once you have qualified a lead they become a prospect. These are the potential buyers you will want to focus your efforts on. How you do this work will be covered in the next two posts in this series. Once you’ve come to an agreement and signed it, you have a deal. This generally constitutes a transaction. You have now earned a client or customer. However, unlike when you sell widgets, in the services business, a transaction is usually the start of a client relationship. The sales work will continue but it will take a different shape. Competencies such as account management, creating an excellent customer experience and providing client services become crucial for keeping a client and selling more to them over time. I am convinced that if more people that sell asked that, selling wouldn’t be so universally disliked. It’s a question that forces you, the seller, to take a good look at your own motivations and values. Should I Even Be Doing This in the First Place? Are you convinced of the importance and significance of what you’re doing? Do you believe you’re making a meaningful difference? Being able to answer “yes” to these questions is wonderful, but not necessary nor always the case. Many salespeople do effective selling without having their heart in what they sell. You don’t have to either. But you’ll be so much better at selling if you believe in it. Is the Buyer I Am Approaching in a Position to Buy This From Me? This is the clincher. Many fail at selling because they approach the wrong person, someone who cannot buy. You may have heard of the term “economic buyer.” Yes, that’s what I am referring to. But furthermore, the person may be in a position to decide but may lack the budget or there might be something else preventing them from committing. How Does What I Am Selling Benefit the Buyer? For your offer or proposal to reach the buyer, it needs to be about something that is important to them. It needs to provide value to them. By that, I mean that it needs to make or save money. This can be in the form of creating ways a business can grow or become more valuable, or as a means to solve a problem. Generally speaking, showing that you can address and resolve challenges and pain points is a more effective sales argument than proving gain. Do I Believe in the Value of What I Am Proposing or Selling? Many salespeople are trained with standard arguments about the benefits of what they’re peddling. Unfortunately, many just repeat these and don’t care if these benefits are real. Nor does it matter to them whether the buyer will see these benefits materialize or not. They just assume they do. That doesn’t work over time. As people gain experience as buyers, they also tend to be less forgiving. In the book “Insight Selling,” the authors make a solid case for why sellers need to provide value from the very beginning. 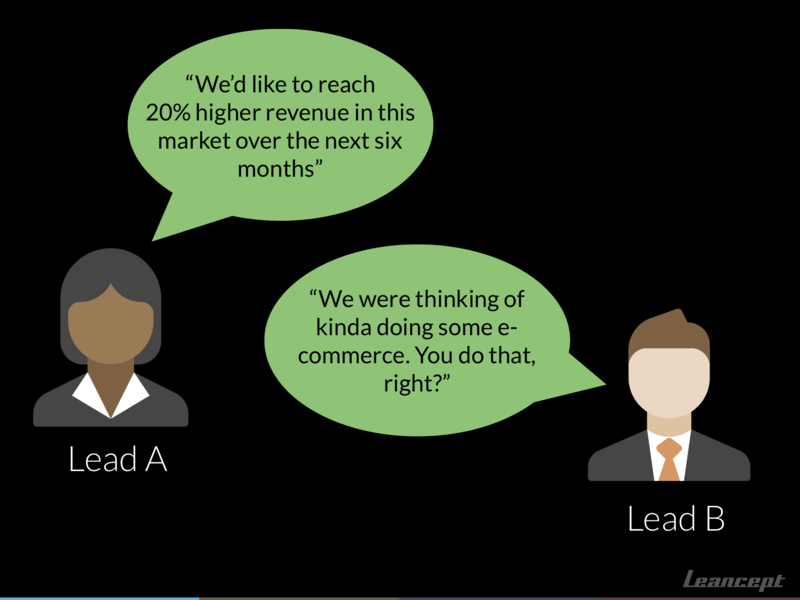 Throwing standard sales arguments in the buyer’s face doesn’t work. Sellers who want to win need to analyze the buyer’s situation and convincingly show how their offer fits in and collaborate with the buyers. When the answer to one of these is negative or weak, you’ll end up trying to convince someone to buy something they cannot afford, don’t want or need. You might not even believe in what you’re selling, further undermining your ability to reach them. Many sales coaches teach “objection management” – (in my opinion) a fundamentally flawed concept. The idea is that salespeople can learn common objections, then practice arguments and ways to counter them. This doesn’t work. Even if you “win,” such persuasion often leads to buyers feeling tricked or cheated. The buyers then associate those feelings to the selling profession, and the brand they felt they were tricked into buying. It’s a not a good way to start a lasting bond with someone who you’d like to come back and buy from you again in five years. 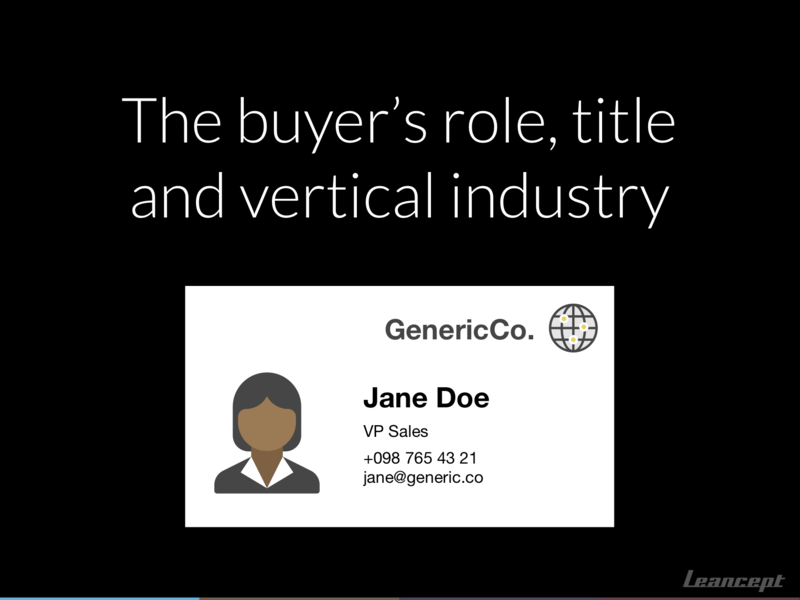 What it all boils down to is the traditional view that sellers are persuaders. That the salesperson’s job is to move others, even if the result goes counter to the buyer’s self-interest. The idea of sellers as persuaders is, in my experience, deeply wrong and the root cause of why sellers have a bad reputation and people resent the act selling. 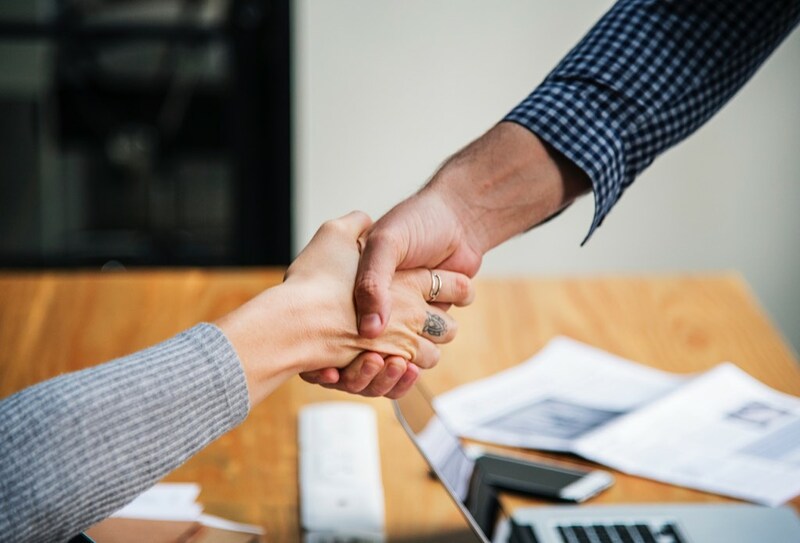 If you, instead of trying to persuade at all costs, strive to understand the pain points of presumptive buyers, your job will be about helping buyers by moving them. One of the most effective ways to move others is to help them uncover challenges they are not aware of. Tommy Lindström, a seasoned sales coach whom I interviewed about nudging last year, once shared a story about what a client said to him: “The first time we met I didn’t have any problems. Now I can’t sleep at night”. The solution to talking to the right people, about the right things with genuine conviction is to qualify your leads. Is this person in a position to buy, being able to make such a decision or having the means? There’s no point in trying to sell to someone who doesn’t have the means to buy, whether financial or political. That’s why it’s crucially important to your qualifying effort that you early on confirm that you’re speaking to someone who is able to buy. Who that person is differs from industry to industry, but also between types of services and products, and their price point. 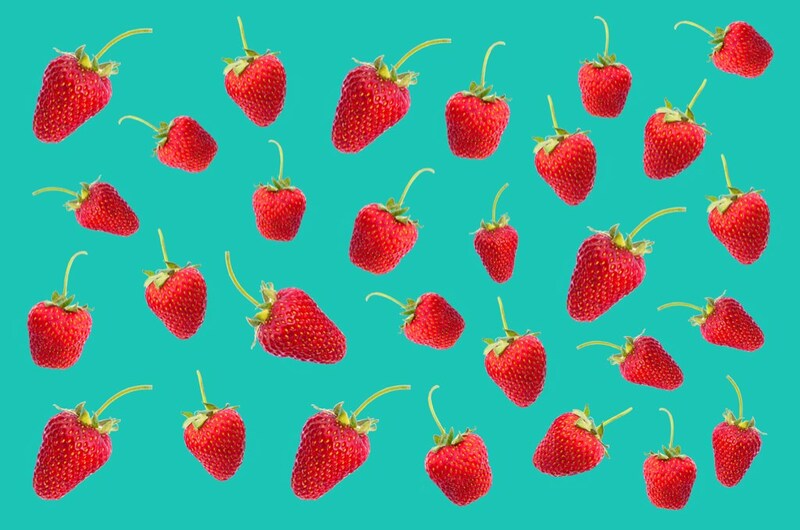 For example, if your product or service costs less than say, €10,000, you might be able to sell it to people at lower tiers of an organization. A former colleague of mine once told me how they circumvented such a problem by changing the pricing for their product, hence sidestepping buyers having to involve higher up managers. By shifting to subscription pricing, they could lower the initial price to fit within the limit of discretionary spending. Such insights require understanding the buyer’s organization. You need to figure out what the obstacles are to them saying yes and removing those roadblocks. It also helps to be creative and inventive and having detective skills. Chances are your lead has only provided an email address. To determine their ability to buy, you need to be able to use their email address to determine their role, for example by finding them on LinkedIn. Using that information, you can make an educated guess about their role and responsibilities. That will help you decide how to follow up. Furthermore, it’s wise to implement a sales strategy that defines target market segments and limits what industries you primarily sell to and how. That will make your sales work more effective. By checking your leads against your target industries, you can further qualify leads and focus on those you’re best prepared to sell to. Target segmentation is important and a big topic in itself, far beyond the scope of this article. If the person you’re selling to agrees to buy, will his or her life improve? You’ve confirmed that the lead is someone who can buy, now the question is whether they need to. The simple rule of thumb here is: Do not spend time on proposals or quotes to presumptive buyers who have not admitted to having a problem. Why did they contact you? How many agencies are they talking to? What are the process and the timeframe? And, if possible: What is the budget? Not all leads are insightful about their needs and goals. This meeting is the first opportunity you have to employ consultative selling (which we’ll cover in the next post). Ask open questions and listen. Do not diagnose unless the person asks for it directly. 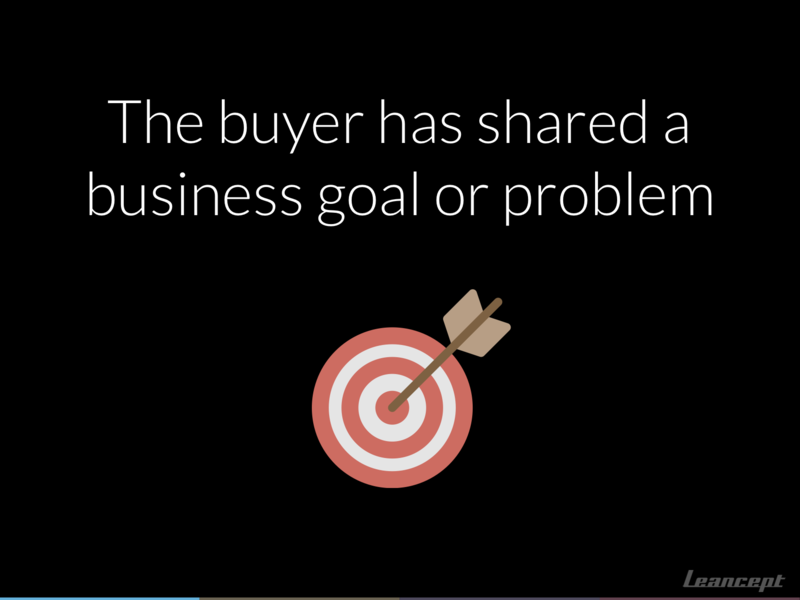 This conversation is an opportunity for you to shape the direction the buyer is taking. Something that you will want to glean from this conversation is urgency. Timing is an important aspect of selling and has a strong influence over the price you can ask. The more urgent it is, the more you can charge. We covered this dimension of selling and pricing in our article about nuclear events. 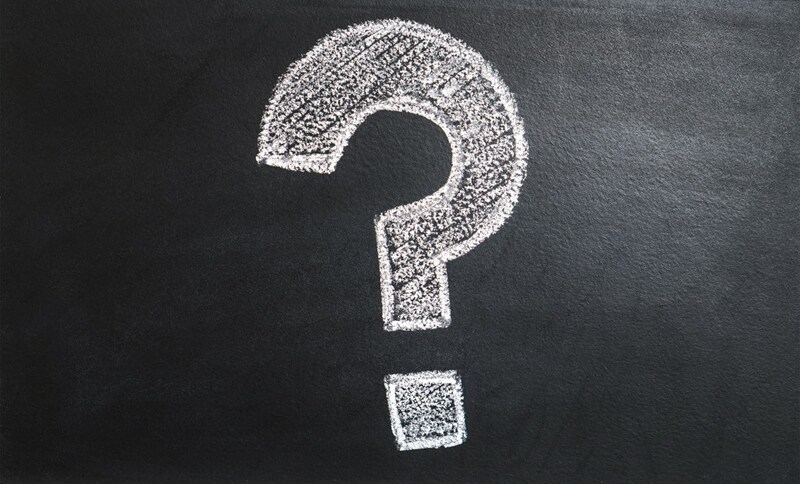 Determining the buyer’s need to buy is critical and it’s not something you can do without asking questions. This is why responding to RFPs (request for proposal) is often a fool’s errand. At least in IT, many RFPs list requirements in some vain hope that it will lead to receiving a set of comparable proposals. But many RFPs leave out the problem the project is meant to solve. 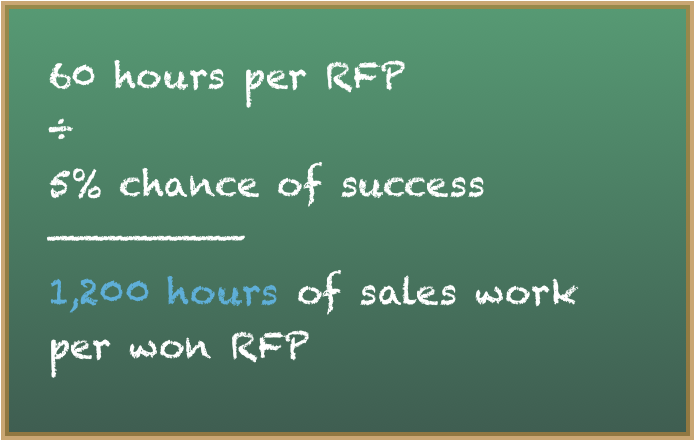 There are industries where RFPs work as a way to win work, but they aren’t many. To succeed using RFPs, you need a laser-like focus and strictly qualify what RFP’s you respond to. You also need to budget your time and make sober estimates of your chances at winning. Do you honestly remember to factor this sales work into your bids? The client can buy and has told you of a problem they’d like solved. Now the question is whether you can solve it with your product or service. This isn’t a good time to lie to yourself. Just like at a first date, this is your opportunity to determine compatibility. Pursuing buyers you do not believe you can serve well is foolish. That said, you should always aim higher or your business won’t grow and develop. But that’s about being realistic and taking calculated risks, not about being dishonest with yourself and others. This step usually takes places at the same time as the previous one, during a conversation with a presumptive buyer. A conversation about a client’s problem will often naturally dovetail into discussing your capabilities and fit. One outcome of this conversation could be that the buyer decides not to buy, from anyone. It’s happened to me more than once. I recall one such time when I met with a presumptive client about a consulting engagement. It was a company I’d done consulting work for before and while some people at the company had changed jobs since then, my name carried weight and chances were good I’d win the work. I asked many questions to better learn why my services were needed. The reason for this was that I wanted to make sure I could indeed help them. My direct, open, and probing questions, made the client realize that hiring a consultant was not a smart move at this time. They had work to do on their end first to take full advantage of my services. This wasn’t a loss in my book. I had come out stronger in the eyes of this company. It was a successful meeting. I had provided value to them by helping them avoid making a mistake. Products can be seen as having features that give the buyers advantages which in turn lead to benefits. The same thinking can be applied to services or the deliverables that are the results of those services. 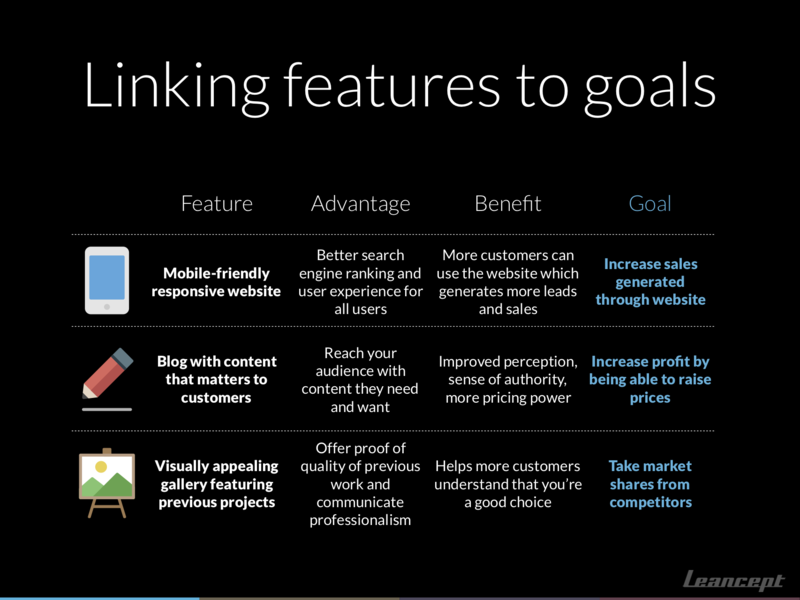 You can use this framework to think about the value you create for your buyers by connecting those benefits to the goals the client has stated. Another way to use it is to include it in your proposals to explain the value of your offer. Or you use it as a way to mentally list the benefits as a way to prepare for an early stage sales meeting. Conclusion: Can You Help the Buyer Achieve Their Goals, Solve Their Problems or Satisfy Their Needs? That’s what qualifying is about in a nutshell. It’s the foundation of all successful sales work and the starting point of every lasting client relationship. In the next part, we cover the sales conversation and how to create a buying vision by asking the right kind of questions. How do you qualify buyers today?